A rental application is a powerful tool for landlords. It is indispensable in tenant screening, and also in collecting a judgement if a tenant defaults on rent or damages the property. 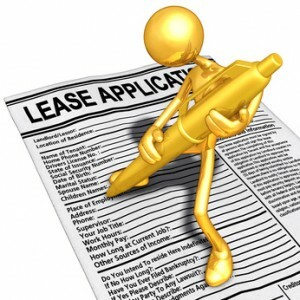 Yet, there are some things a rental application cannot accomplish — at lease not alone. By understanding the important role a landlord plays in the tenant screening process, it is possible to avoid income loss from problem tenants. Obtaining a clear picture of your next tenant begins with personal contact information. This will include identifiers like middle name, birthdate and SSI number that allow an accurate match to the tenant’s credit report. This information is also instrumental if you have to go to court to get a judgement, and later to collect that judgement. A list of previous addresses can reveal a number of pertinent facts about the tenant. For instance, gaps in the rental history may indicate this person broke a previous lease, or may have been evicted. In this instance, the rental application flags potential issues so you can discuss this with the applicant. The rental application will give a clear picture of who may be living in the property. That provides the opportunity to check out each adult to make sure a problem tenant is not hiding behind someone with a better rental history. Occupancy information is invaluable in an emergency. The same is true of information concerning pets that may be left inside the unit. A list of references, both professional and emergency contacts, is helpful in screening tenants, managing the property, collecting debts against tenants, and also in the event of an emergency. The rental application lists preferences, such as no-smoking or pets. That information is useful in qualifying tenants. Another crucial feature of a rental application is the declaration that appears above the signature lines. This informs tenants that there are consequences for not telling the truth. The rental application commonly includes the tenant’s consent to run a tenant background check. Using a rental application makes a landlord appear professional, and this is especially important for smaller landlord businesses who are the most likely to encounter problem tenants. While information provided in rental applications is vital to screening tenants, it’s only half the equation. A rental application is not self-authenticating. The information must be independently verified. Verification begins with a look at the applicant’s photo ID and meeting in person. Information can then be cross-checked against the rental application, and the tenant credit report to identify inconsistencies. A rental application alone will not verify the person’s rental history. For that, you must speak with previous landlords. While the application may list landlord preferences such as smoking or pet policies, it is not a substitute for explaining the rules. This is particularly problematic when the landlord uses a broad or generic rental application form that could cover any number of scenarios. Asking a person if they smoke is not the same as telling them that they cannot do so in the rental unit. However, landlords who inform tenants of the rules during tenant screening, and again at lease signing, have a better chance of finding tenants who will comply.